If you have a Gmail account, you’re probably using Google Drive too. It’s easy to move all your files from emails into the Drive directly without any need to store them on your device. It is possible to upload all your music into the Drive too. Will the Drive stream it, though? We doubt it. VOX Cloud turns out to be a worthy rival of Google Drive as the solution designed specifically for music. Google Drive capacity depends on your budget. 15GB are given to you free of charge from the very beginning. However, this is the space you are given for your emails too, not only the files you upload to the Drive yourself. You can extend your Google Drive’s capacity to 30TB. VOX Cloud (previously called LOOP) doesn’t count storage capacity. It stores the UNLIMITED amount of music. Hence, you get much MORE than even 30TB! It can be 250,000 songs or 2,500,000 full quality FLAC songs and even MORE, there is no edge for the true audiophile’s music in cloud. Google Drive accepts all file formats. We mean literally all: videos, archives, text documents, music, anything. If you have a large music collection in FLAC and upload it into the Drive, it will compress all your music into MP3s, though. The waste of the money you paid for your FLACs, isn’t it? VOX Cloud won’t accept your wedding videos or the research paper you wrote in your freshman year. It will, however, accept any of the following file formats in unlimited amounts: aif, aiff, ape, alac, aac, m4a, mp4, caf, flac, mp1, mp2, mp3, mpc, sd2, vorbis ogg, spx, tta, wav, wma. Audio formats supported but played after downloading only in Loop (not streaming): it, mod, m4b, s3m, ay, mo3. As we mentioned above, Google Drive basic version is free, but the more space you want, the more you have to pay. There are no annual plans, but the monthly prices vary from $1.99 per 100GB to $299.99 for 30TB. There are no referral programs where you can invite friends and get more space for free. VOX Cloud provides UNLIMITED storage with a variety of subscription plans with the same unlimited storage: from $4.99 monthly, $49.99 annual subscription price and other options. Google Drive runs PCs running Windows XP, Windows Vista, Windows 7, and Windows 8 with NTFS partitions, or Mac OS X 10.6 (Snow Leopard) or higher; Android smartphones and tablets with Android 2.1 (Eclair) or higher; iPhones and iPads with iOS 5.0 or higher. VOX cloud works on OS X and iOS. While using VOX Cloud for streaming music through VOX Music Player for Mac, it is possible to connect to Sonos audio devices. Android and Windows support is to launch later on this year. To use Google Drive, one must have Google account. Just that. To use VOX Premium features (VOX Cloud is one of them), you have to sign up for VOX account, then download VOX Player for Mac and VOX Player for iPhone to sync music between them and listen to it freely on these devices. There is a limit of 15 as the maximum the number of simultaneous connections to your Google Drive account. There seems to be no official limit on the devices. VOX sets zero limits. You can have all your family, including grandmothers, grandfathers, parents, sisters, brothers, nephews, and their children using premium features at the same time. And it will be alright. In the end of this feature battle, we want to mention some great perks Loop for VOX can provide you as a music lover. Something that Google Drive will never do. 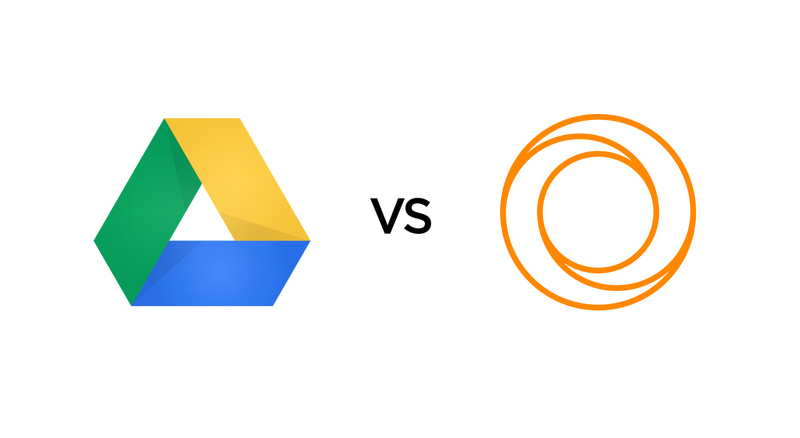 What to choose - VOX Cloud or Google Drive - the decision is up to you.